A 7 year-old Jewish boy standing at his bedroom window is all the motivation a PA Arab with an Oslo Accord gun needed. Some suggestions that will make these Jew-hating murderers think twice before taking gun or knife in hand. 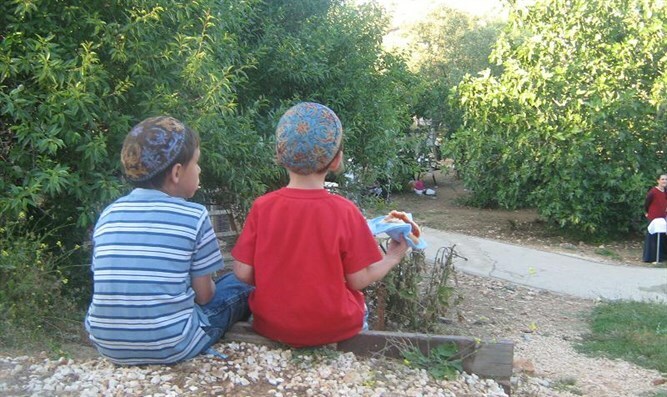 On Sunday March 24, a seven year-old boy in Beit El was standing by a window in his home in the Even Pina neighborhood. Even Pina is near the top of the hill that is Beit El B, and one has a great view of the Jelazoun Arab village, which leftists here call a "refugee camp" despite the fact that it predates Israel's 1948 War of Independence. In fact, in the 1920's, the Arabs in Jelazoun would kidnap Jewish girls from the early pioneering Beit El – which is why there are many Arabs in Jelazoun who have Jewish mothers- i.e., they are halakhically Jewish. Well, it turns out that the 21st century Arabs of Jelazoun, now ruled by the Palestinian Authority, are no more friendly to the Jews in Beit El, than they were a century ago. The seven year-old standing at his window was shot by a bullet originating some 200 meters away in Jelazoun. He had surgery and thank the Lord, should be OK.
As anyone following the Israeli news since November knows, this was just one of many attacks by gun and knife in which Arabs of the PA have maimed and killed Jews over the past few months alone. : Ari Fuld, Kim Yehezkel, Shira Ish-Ron and her child, Amichei Ish Ran, three soldiers at Givat Asaf, Gal Keidan, Rav Achiad Ettinger, and others. The question arises: what to do? 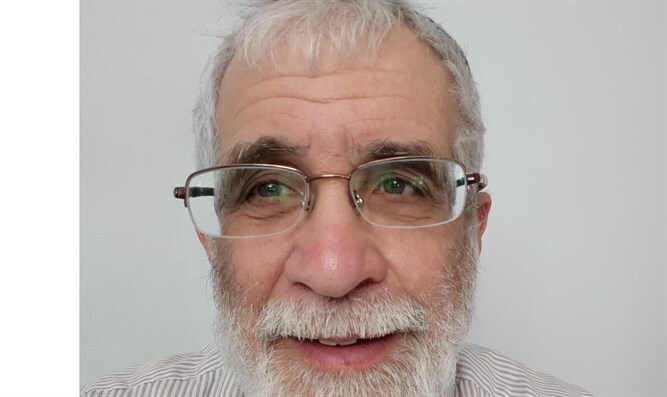 One Rabbi in Beit El says we should have demonstrations to strengthen the hand of our local governing Council which should demand more security. I disagree. If there is one thing the late PM Yitzchak Rabin taught us with his "Let the settlers spin like propellers" saying, it was that the demonstrations don't work. Even Moshe "Marijuana" Feiglin, who once blocked roads with demonstrations against Oslo, no longer believes a demonstration accomplishes anything. So, what to do? 1. Deduct all medical expenses of injured Israelis from the monthly income tax money that Israel hands over to the Palestinian Authority. PA Arabs work in Israel, and per the agreement in the Oslo Accords, instead of keeping the income tax on that work (as reason would say that Israel is entitled to do), Shimon Peres signed over that tax money to the PA.
2. Israel should deduct from that payment every ambulance charge and hospital bill for these injured victims of terror. For example, the bill for the soldier Netanel Ilan Felber, brain-damaged in the December Givat Assaf attack in which a PA Arab killed two other soldiers, has to be close to a half-million shekel, with three months of ventilator care in the hospital. Israel should keep that money. Shira Ish-Ran is still limping, and has had months of inpatient and outpatient care; she will probably get disability payments for the rest of her life- till she reaches the age of 120. Let Israel deduct that money from the PA tax money. The PA may not be so quick to send out their assassins if they know they'll be paying for life. 3. Road closures: every time these barbarians shoot. Close a road and leave it closed. Forever. For example, since the Hanukkah attacks, the northern entrance to Ramallah has been closed for much of the day to traffic from Ramallah towards Givat Assaf (site of those attacks) and Route 60. Route 60 was built for Israelis to bypass Ramallah, not built for the ease of the Arabs. The Supreme Court opened it to PA Arabs because "why should only settlers be allowed to use the road?'. Why? Because the parallel road just to the east runs through Ramallah and would be a deathtrap for Jews - we can't use it. The Supreme Court, oblivious to the fact that the small 466 and 60 cannot handle all the extra traffic, opened the Ramallah entrance and created hours-long traffic jams, and an easy route to shoot and kill Jews. It must be closed, and stay closed Every time the Arabs shoot, they should lose access to more roads that Jews travel. Forever. They must know that they have something to lose, and lose in perpetuity. As for the Army: every Israeli knows the higher echelon is infiltrated by Leftists who believe that "we need the PA for a strong Israel". That's the nonsense behind the party of Gantz, Yaalon and Ashkenazi and it's the real reason that the Army does not provide us with full security. Tthe the best defense is a good offense, and they refuse to go on offense, because they "need" the PA. Thus we get these generals' reluctant protection. Heaven help to keep these "defense" figures from a majority in Knesset. 4. Every time PA Arabs shoot at a Jew, they must lose X% of area A (PA-controlled Judea/Samaria) and transfer it to area C (Israeli-controlled). 5. It's time to change the tone of the debate on Judea/Samaria. The new Knesset should implement the Rabin Plan, that is, his original Transfer Plan. Anyone who remembers, in 1994 Rabin got so sick of terrorist murderers, that he bused some 400 of them and dumped them on a hilltop in Lebanon. Again, the Supreme Court said that could not be done, especially in the cold of November, so they made Rabin bring all of them back- and they promptly proceeded to blow up buses and shoot and kill Jews. Transfer was what Rabin did, "transfer" is a word the Diaspora turned into a word not to be used in polite company, but it's time to stop this censorship of rational remedies to thie complex, lingering problem of what to do with our enemies. Time to let the MKs talk. Let the standard of conversation be that transfer is legitimate, as Rabin did, meant only for terrorists. Of course, there are many other solutions to our problem of security. Our government and our thinkers should be free of censorship to examine these solutions, which should at the end-process be implemented by Army and police (but not devised by foolish generals). There is still a long road to go before Israel ditches the dangerous, messianic Peace Plan of Oslo.